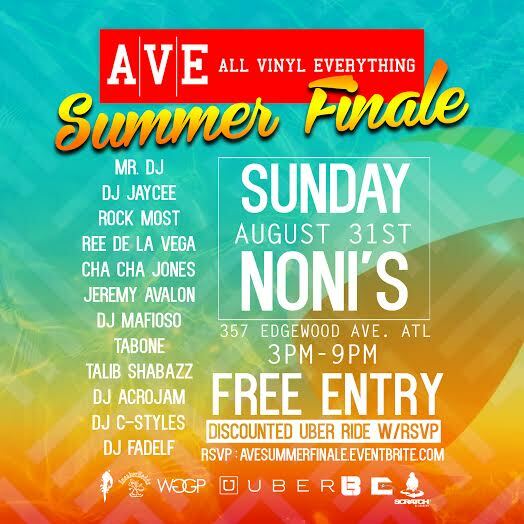 The Summer Finale of All Vinyl Everything is Labor Day Weekend August 31st ! Join us one last time OUTDOORS at Noni’s 3pm-9pm FREE / NO COVER / RAIN or SHINE . The best DJs in ATL spinning all wax all day … All Vinyl Everything. Sangria specials + Indoor and Outdoor Bar + Grab something off the grill!